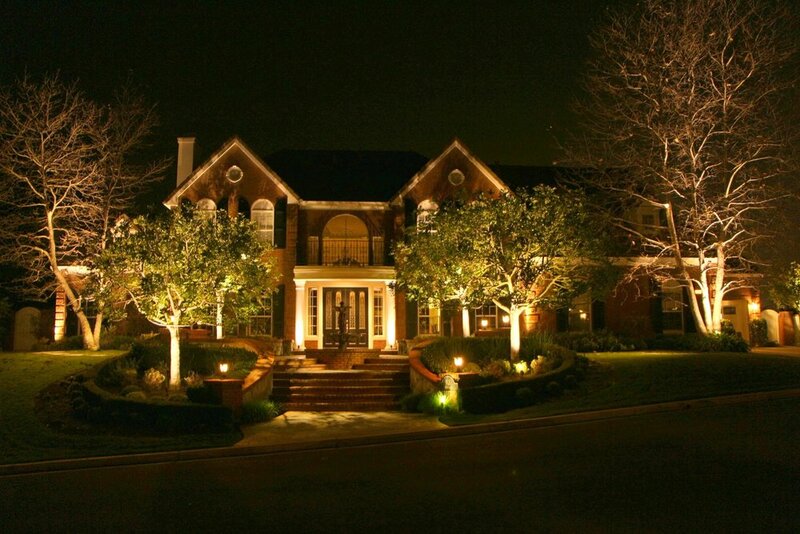 Exterior and outdoor landscape lighting is one of the surest ways to add drama, beauty and security to your home. Well planned and placed outdoor lighting is an excellent way to extend the enjoyment of your exterior walkways, patios, pool and landscape features into the evening hours. Home lighting can range from the practical, a safely lit walkway and front door to the dramatic with spotlights illuminating architectural features or the canopy of a large tree lit magically from within. Simply put, light can produce an array of brilliant effects and add greatly to the enjoyment of your home. As a professional landscaper, I begin a lighting project by evaluating the wants and needs of a client’s property. 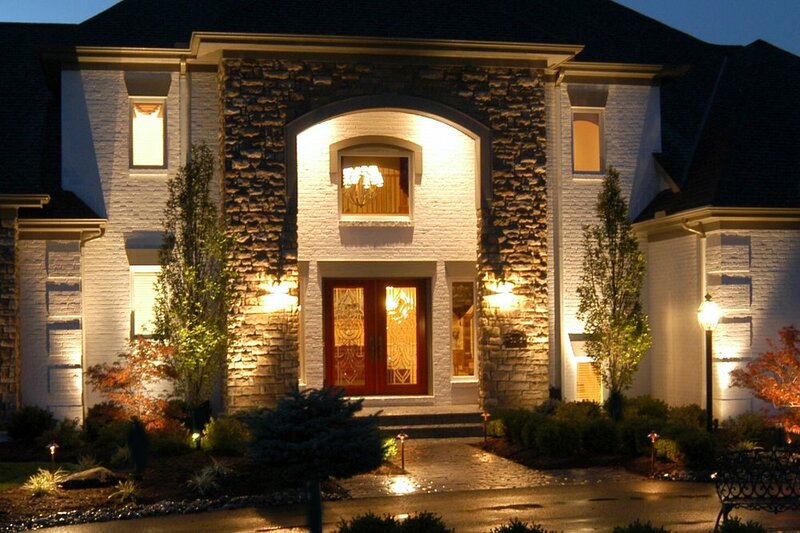 Lighting offers instant curb appeal to a home in the evening hours as well as providing invaluable security. Are you looking for dramatic pinpoint lighting that accentuates the architectural features of your home? For example, beautiful stonework comes alive with light and shadow. Or a curving path and garden become an intriguing destination when creatively lit. Outdoor lighting fixtures have a wide range of cost and applications, running from the simple to the elegant and ornate. Often these outdoor fixtures do not even need an electrician for installation, because most of the lighting is low voltage and can be hooked up through a transformer to a 110 watt outlet. We do recommend working with a professional landscape company to save yourself the headache of incorrect placement. Outdoor lighting can also be operated in various ways. It can be placed on a timer to be set a specific on and off times. Or a photocell can automatically detect dawn and dusk and automatically respond. Landscape lighting need not be an excessive electrical energy drain that will burden your utility bill. Finally there is nothing more welcoming that the feeling of arriving to a warmly and securely lit home. It is as if your home is actually waiting for your to come and enjoy all the comforts of home. Good luck this spring on all of your future landscaping projects. Are you looking for a Cincinnati Outdoor Lighting project for your Landscaping? Seiler’s Landscaping provides excellent project management of large landscape projects including LED lighting. Contact us or request a proposal today.